Some people break out in red bumps and lumps when wool touches their skin. However, in many cases, a reaction to wool isn't due to allergies. Instead, direct skin contact with wool often causes irritation because of the slightly scratchy nature of some woolen clothing or because of chemicals in the fabric. The grade of wool and the type of garment also affects the chances of triggering allergy-like symptoms. Wool is a natural fiber sheared from sheep and some goats. Once the wool is sheared from the animal, machines or human hands spin it into finer strands suitable for clothing and textiles. Wool sold in fabric stores comes in different grades. Fine grades, such as ultra-fine merino, tend to have softer, thinner fibers. These trigger fewer allergic-type reactions. Lower grades, such as carpet wool, have course, scratchy fibers. These can irritate the skin. Cheap, woolen clothes might also contain chemicals that can cause allergies. Contact dermatitis occurs when a substance or fabric causes an allergic reaction on your skin. This can range from a light rash to blistering. The latter usually only occurs with chemical substances. 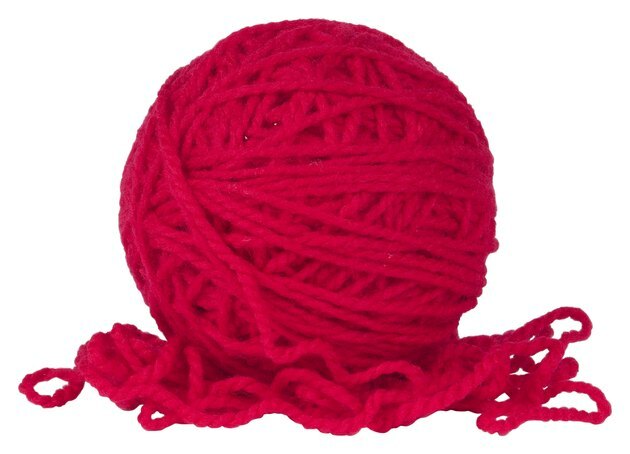 Wool triggers contact dermatitis in some people, according to the McKinley Health Center. It may particularly affect sensitive skin areas, such as your wrists or underarms. In some cases, the contact dermatitis isn't an allergic reaction but simply your skin reacting to irritation. Symptoms tend to occur in both cases. Pain receptors on your skin determine how you respond to wool, according to Health Services at Columbia. Responses vary depending on your skin thickness, your age, the air temperature and skin moisture. For example, a young person tends to have thinner skin than a 30-year-old person. Thinner skin usually reacts more noticeably to wool and other irritations. In hot, damp conditions, your skin becomes more sensitive. The blood sits closer to the skin's surface, meaning that scratchy fibers, such as coarse wool, cause more discomfort. If you have an existing skin condition, such as psoriasis or eczema, you're more likely to react to natural wool fibers. Scratchier items may irritate your condition and cause a flare-up on your skin, much like an allergic reaction. Some people experience breathing problems when wearing woolen clothing. If you have asthma or experience breathing difficulties in the presence of pet hairs or fibers, you might start wheezing if you wear wool. Is Cotton a Good Material for Workouts?